All photos courtesy of Realstone Systems. Natural stone is having a moment in home design. Stone accent inspirations are all over Instagram, Pinterest, and the best home décor and design blogs. The timeless beauty of natural stone makes it the ideal accent in any room. 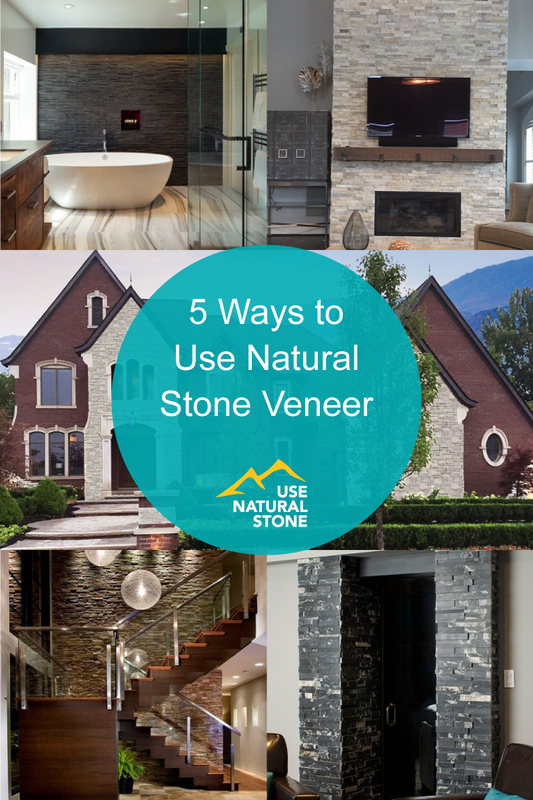 There’s a natural stone for every style and budget. 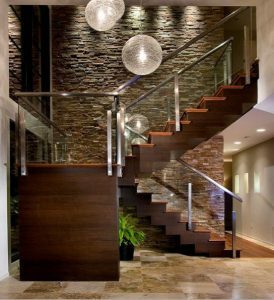 Different colors and textures of stone can be used to add modern, classic, or even strikingly bold touches to a home. There are many ways to bring color into a room, but there’s nothing like natural stone to give a room a grounded feeling and an earthy sensibility that resonates through the entire space. 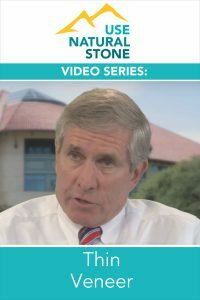 Stone gives a feeling of permanence, and a connection to the natural world. 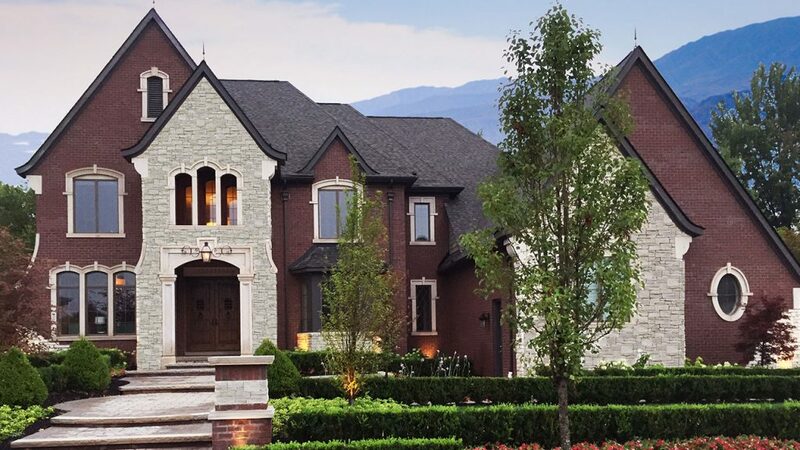 Using natural stone accents adds drama and flair to the exterior of a home. Stone accents combined with vintage style siding creates a beautifully unique exterior that shows off the personality of the person that lives in that home while giving the home a sense of stability and solidity. Light stone accents against a deep exterior color will make any home stand out in the neighborhood while exuding the kind of classical elegance that makes vintage homes so striking. If you’ve always wanted to live in a castle without the drawbacks of living in an actual stone castle you can get the same look and feel with beautiful natural stone accent panels. If you love to bring drama to your décor, you can use natural stone accent walls to frame a doorway and make it feel like you’re stepping through a portal to another world. Light stone accent walls against light paint are perfect for framing the doorway to a bedroom, meditation room, or out to the deck. 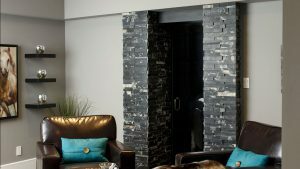 Dark stone accent walls are ideal for creating dramatic doorways that lead to dark media rooms or a lush dark bedroom or study. 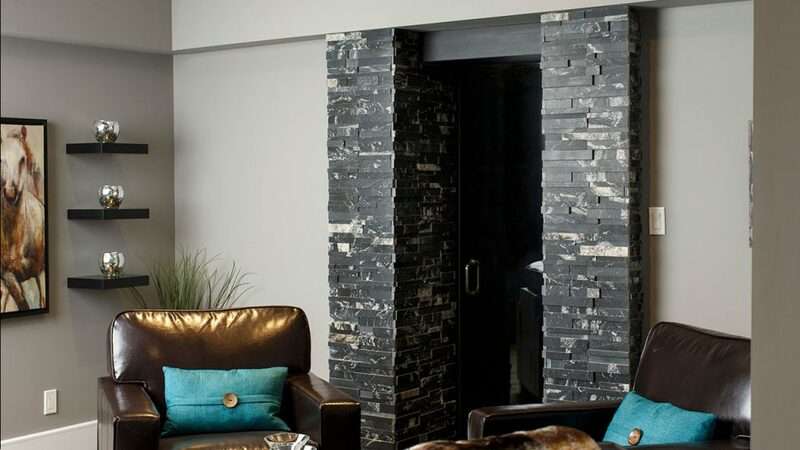 Using natural stone accents around doorways is the perfect way to bring a natural feel to a small home or apartment that doesn’t have the space for a big dramatic accent wall. Using textured natural stone on the walls in a large room is a fantastic way to add visual interest and texture to the space without compromising the openness or brightness of the space. 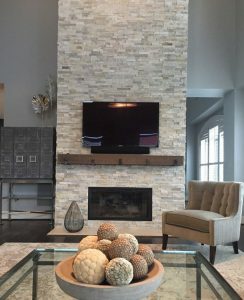 If you have a large living room, family room, or bedroom and you don’t want to give up the open feeling of the large space but you also don’t want the walls to be boring, natural stone accent walls provide that natural feel and unique texture that will make the room feel vibrant while still embracing the open space. A single natural stone accent wall in a room is a great focal point and will help draw the eye to a fixed point making the room seem less undefined. Natural stone accents in the bathroom will transform your bathroom into the relaxing spa retreat that you have been dreaming of. There’s something very tranquil about the combination of natural stone and water. 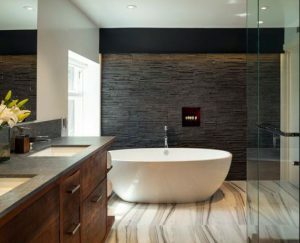 Add some bamboo or flowering plants in the bathroom with the natural stone accent wall or accent walls and going into the bathroom will feel like you are treating yourself to a spa day every day. It will turn the bathroom into the room in the house that you never want to leave. Natural stone accents are also a beautiful way to create interest and beauty in a guest bath, half bath, or the bathroom in the pool house. 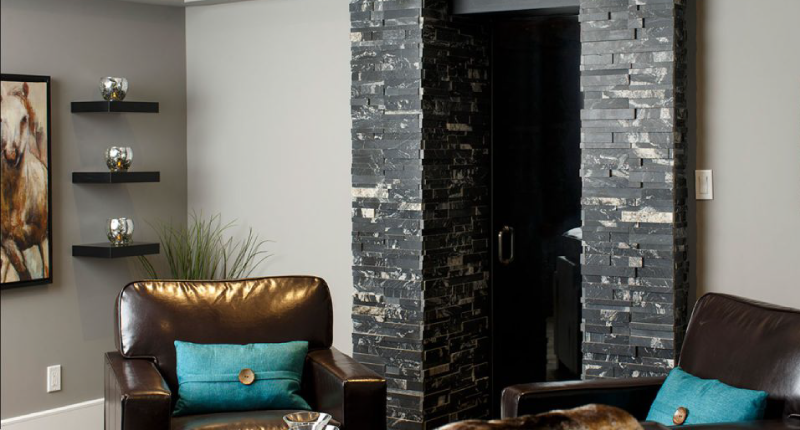 Nothing elevates an ordinary fireplace like natural stone veneer. 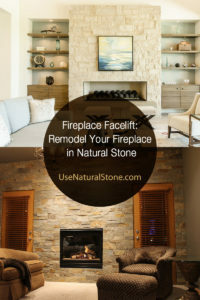 Installing a natural stone veneer to your fireplace can completely change the look and feel of a room. 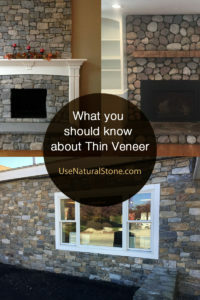 In the living room adding a light natural stone fireplace veneer can make the living room seem warmer and cozier. It will be the room that everyone wants to relax in. Dark stone fireplace veneer turns the fireplace into the dramatic focal point of the room and turns an ugly old fireplace into the perfect spot to sit and dream with a cup of tea or read a book on a stormy winter day. No matter how you use natural stone to transform your home there’s no questioning that a little touch of stone can add a lot of timeless beauty to any home.